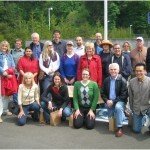 HELP workshop participants on the Clackamas River field trip. 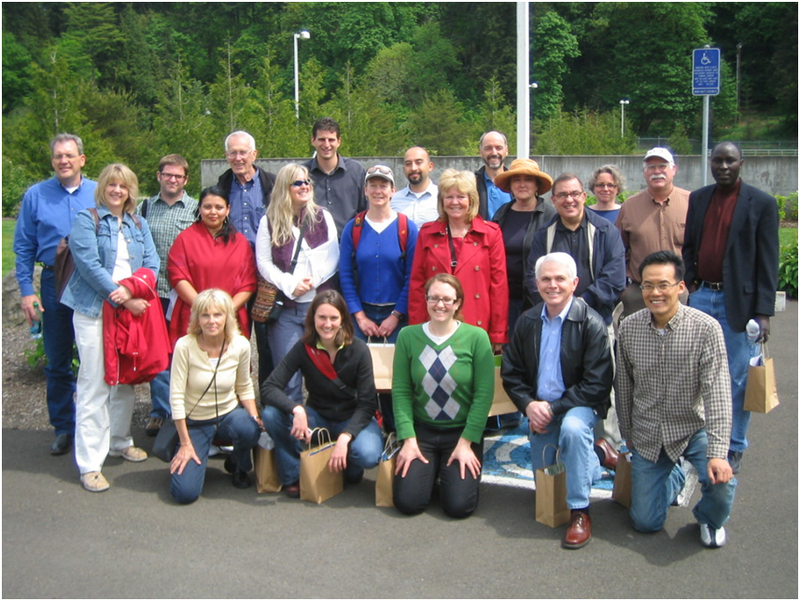 (HELP) basins gathered at Portland State University, Oregon, USA on May 10-12 to share experiences and lessons learned in their catchments. The basins represented were the San Pedro (Arizona and Mexico), Willamette (Oregon), Upper Washita (Oklahoma), Lake Champlain (New York, Vermont, and Quebec, Canada), Iowa-Cedar (Iowa and Minnesota), Luquillo (Puerto Rico), and Panama Canal. Increasing management capacity for using climate information at the basin level with multi-jurisdictional partners through the social learning process and through adaptive management. There was no single operational model among HELP basin groups. Significant differences were highlighted in the basins’ regulatory environment, data availability, major themes and drivers, land use, local institutions, and federal partners. However, all of the efforts share broad institutional involvement from local to national governments, non-governmental organizations, and civil society. They also share a commitment to open data access, communication among the various sectors and broad engagement in decision-making. The workshop was sponsored by ICIWaRM, U.S. Department of Agriculture, Center for Sustainable Processes and Practices at Portland State University, Clackamas River Water Providers, and Portland General Electric. A monograph resulting from the workshop is planned. For further information, please email us. HELP is a cross cutting and multidisciplinary initiative of the United Nations Educational, Scientific and Cultural Organization (UNESCO) led by the International Hydrological Programme (IHP). It emphasizes integrated catchment management through frameworks for water law and policy experts, water resource managers, and water and environmental scientists to work with stakeholders and decision-makers to solve watershed-scale challenges. This approach focuses on the nexus between society and nature, and between policy and science at multiple scales. Special attention is given to the interacting roles of politics, socioeconomics, institutional and policy practices, social learning, and scientific data and information in a backdrop of climate and/or land use change.